NOTE: Some CMaxs are noted to have aeromodded enhancement such as grill covers to block the lower and middle grills, plastic covering of the fog lamps, under body enhancements, or use of Gas Pods.This is permitted but will be noted next to the owner's name so as to provide a deliniation vs the majority of Club owners who are running stock CMaxs with no enhancements. Model 2014 CMax will also be noted as they inherit additional aerodynamic and FE improvements as provided by Ford Motor Company as "stock". 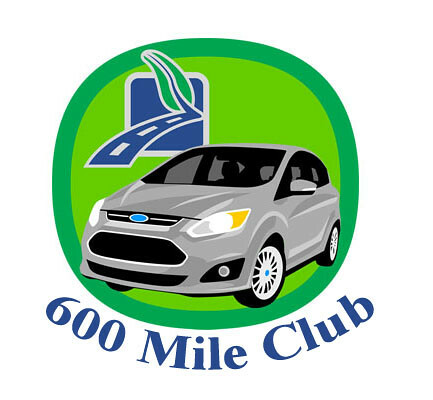 All mileages are based on screen shots of the CMax at the event occurence and posted here on this thread. On rare instances the Club may consider alternative proofs of mileage. No "recalculation" of the mileages are permitted based on GPS or otherwise. Now, some of you may ask what about freeway driving or city driving since mileage can vary so much - to which I say, just declare what fwy/city driving for this tank. It's all approximate anyway and if you clock more than 600 plus on all city driving, good for you cause you just saved a whole ton of gas as the bottom line. Lets make this FUN as we have a very fun car to drive and all of us like to tinker and CMAX up our mileage. By the way, my word of advice for those who want to try this out - carry a extra fuel in a container, just in case. Edited by Jus-A-CMax, 27 September 2016 - 11:44 AM. I calculate 601.4 miles / 20.87 hours = 28.82 avg MPH. Not sure how that can be right with 70% freeway. Updated Statistics for Post #1, as of 09/29/2014. See attached Excel. Edited by Jus-A-CMax, 29 September 2014 - 11:59 AM. Holy cow 600+ on a tank! Is that on an Energi model. The best I've done on my SE is 490. 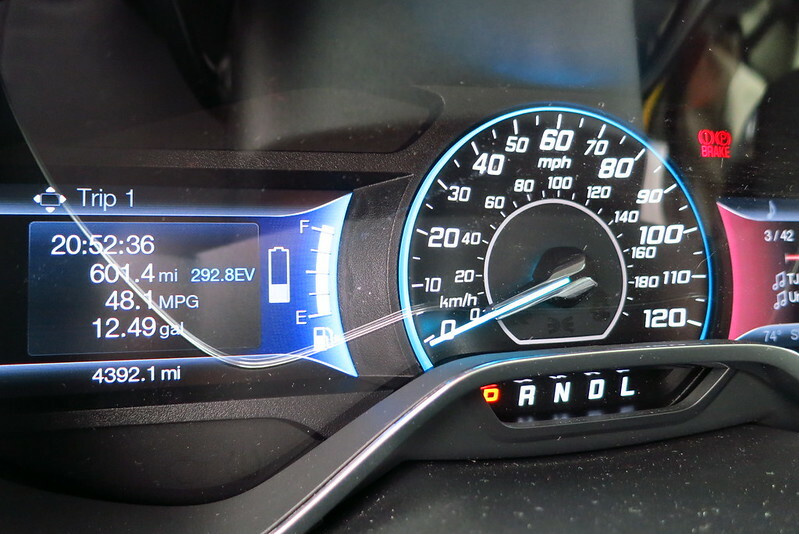 No, just a regular SEL CMax (see my Mammoth thread for photos of the vehicle). You can see my odometer in the picture, I am telling you, I am seeing a lot of improvements with each 1K clicking over. It also helps Los Angeles is having 65-75 temps at the moment. Also, I'll disclose I use premium and 43 psi tires. Edited by Jus-A-CMax, 23 January 2013 - 08:11 PM. Impressive work, hopefully as the weather warms up more people will have a chance at getting those numbers. With this tank, I estimate around 70% Freeway in my daily commute to Camarillo, Oxnard, Woodland Hills, Ventura, Burbank, North Hollywood using the major freeways in and around the LA/Ventura county. By the way, I have to confess I was sh*tting myself cause the red on the fuel gauge had practically no bar and the distance to empty still say 31miles as my Max rolled to the Costco pump station. In hindsight, this was dumb as I could have stranded myself with no gas (Hello AAA....... ) - so my word of advice for those who want to try this out - carry a extra fuel in a container, just in case. I didn't see your thread until after I started new thread. Mine was 608.6mi GPS corrected which makes us very close. Good Job! Thanks ptjones and congratulations to you as well - 608!!!!!! Holy moly - that extra 7 miles makes it more impressive. I was beelining to the Costco pump in the red. So at least now with 2 owners posting 600 miles on 1 tank, MPGs above the 47 rated and at temps (for me around the high 60s low 70s) - this car is definitely doable. I think everyone who drives the regular CMax can get this when it warms up a bit. So here's a question, how does 2 owners get so much out of the CMax when all the other professional testers/reviewers could not even come close and they are driving closed circuits, taking a stroll along the PCH - given the times they have the CMax test vehicles that proportedly have similar odometer usage as us and driving when it was summer/autumn? So here's a question, how does 2 owners get so much out of the CMax when all the other professional testers/reviewers could not even come close and they are driving closed circuits, taking a stroll along the PCH - given the times they have the CMax test vehicles that purportedly have similar odometer usage as us and driving when it was summer/autumn? Apparently their odometers are off by 25% instead of 1.5%. LOL I don't think they were motivated to do good or Toyota paid them off, times are tuff out there and they needed the money. BTW you probably could have made 20mi if you had Grill Covers. Edited by ptjones, 12 February 2013 - 10:23 AM. Those of us in the great frozen north with single digit temps (or lower) and short drives to work will have to sit this out until about May. Why wait get Grill Covers and oil pan heater now. I thought you are on Fuelly but no signature/badge? I've never signed up on fuelly. I would forget to records mileage when I refuel part of the time. I still have the grill taped off and I think it has minimal benefit. I do not trust a third party oil pan heater. Appartently their odometers are off by 25% instead of 1.5%. LOL I don't think they were motivated to do good or Toyota payed them off, times are tuff out there and they needed the money. BTW you probably could have made 20mi if you hade Grill Covers. You know, the time I really needed that was at Mammoth driving there from Mojave and then Mammoth back down to Bishop. However, here in Los Angeles, we only get 40s or below in winter and its not for long periods. CA is a great weather state but with whacked out libs...jus' sayin. Great job there. I guess Energi drivers need not apply. Edited by Jus-A-CMax, 31 January 2013 - 09:06 PM. Yea, I've had two tanks in a row with over 600 miles, and both times I put in less than 10 gallons. Over on the Energi forums, the challenge was for a 100mpg tank, and someone got that pretty quickly. The plug and the big battery is a massive game-changer, and I'm loving it. Edited by Jus-A-CMax, 31 January 2013 - 09:38 PM. I think 700mi is doable in Hybrid, we will see this spring. Edited by ptjones, 12 February 2013 - 10:25 AM. I think 700mi is do able in Hybrid, we wii see this spring.